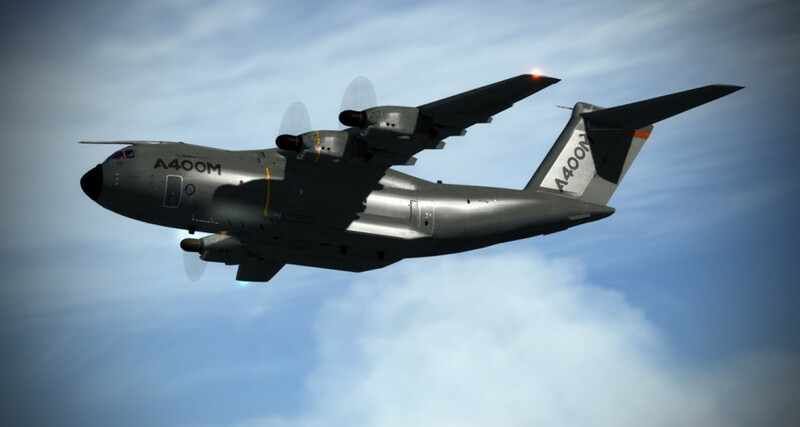 Last Christmas I was flipping around the internet trying to settle on a ride for what has become a tradition – the SimHQ Christmas Eve flight that was started by Deacon. 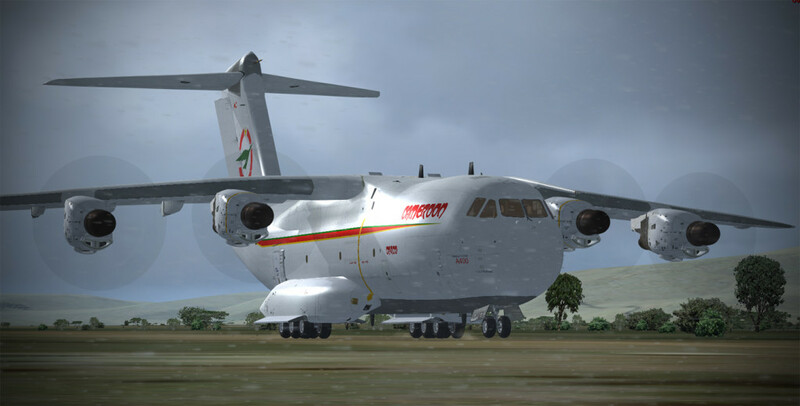 Unfortunately, I missed the 2014 Christmas flight because I was called out to complete an actual medical flight, but in preparing for the flight I ran across the fantastic Airbus A400M by Laborie Roland. 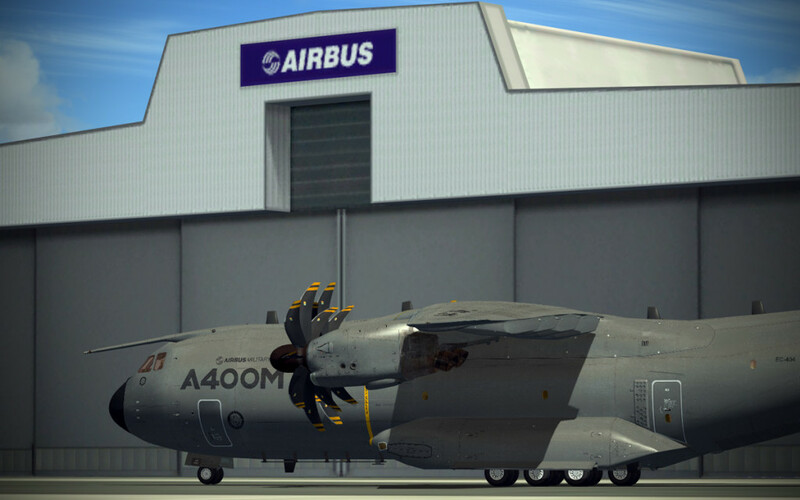 When we exchanged some e-mails, he indicated that a Version 2 of the A400M was coming out soon. So it was with great excitement that I received an e-mail from him a few weeks ago with an opportunity to take the new A400M ver 2 for a test drive. Now I can’t wait for Christmas 2015 – this beast should be able to carry many tons of toys from the North Pole to points all over the globe! The new A400M ver 2 features an awesome array of choices. You can select either a 2D or 3D panel version. The 2D panel is really cool because it is sharp, crisp, and lets you drag around a dozen 2D windows onto another desktop to allow control of the huge array of systems while retaining a full screen “out the window” view. 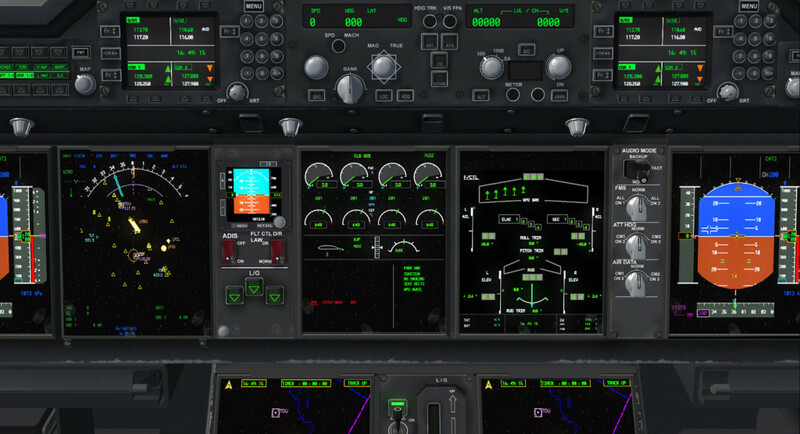 A new HUD has been added and the virtual cockpit was updated and improved. Gauges and functions have been updated and improved, and the external model is just jaw-droppingly gorgeous. The package really shines (literally) under the awesome lighting effects of Prepar3D. The self shadowing in the virtual cockpit is fantastic, and the HDR effects in P3D add a nice bit of atmosphere to the flying. 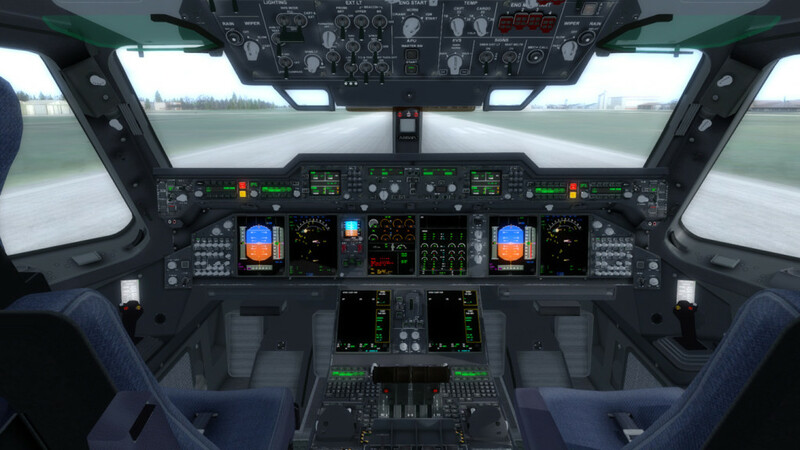 A huge array of custom cockpit views are preset with Captain, Co-Pilot, Flight Engineer/Navigator, pedestal, overhead, and other views included. 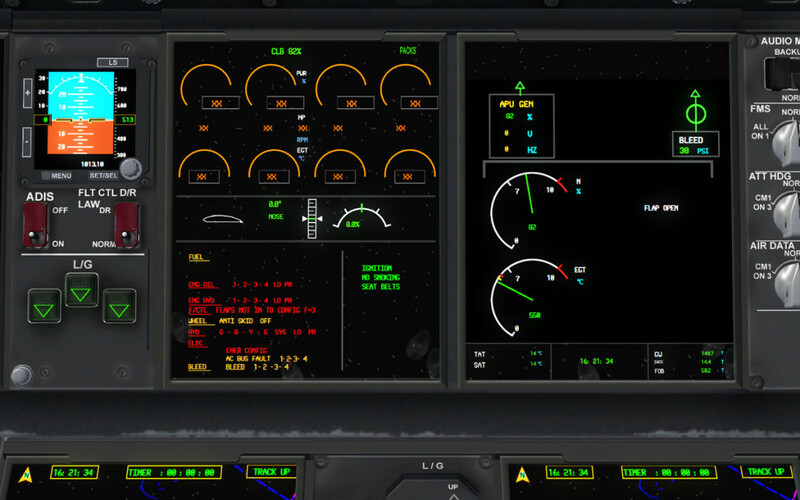 The EFIS screens are nicely presented with sharp clarity and readability. 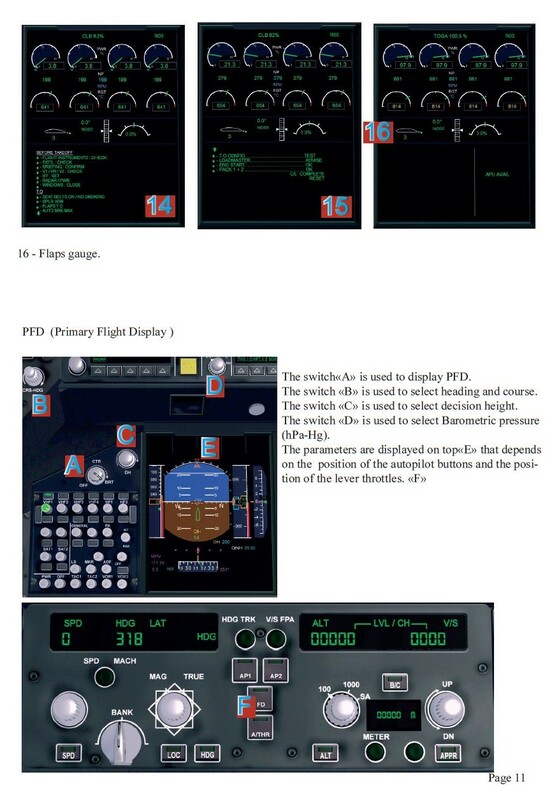 There are days worth of exploring with the multiple EFIS pages and while some functionality is simplified, the gist of the package translates nicely into what being in a real A400M driver must be like. 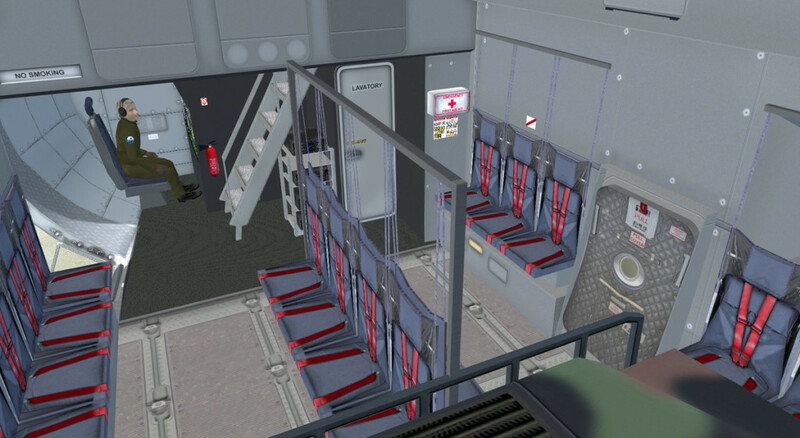 Animated entry doors, airborne troop deployment doors, and the loading ramp are all included. The option of loading heavy military equipment is there. 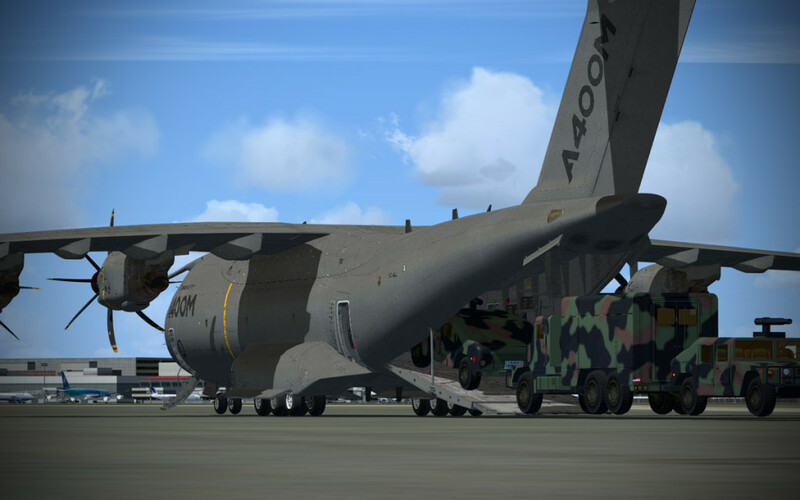 At this time, loading (both fuel and cargo) is done via the default FSX/P3D loading menu – but this add-on begs for a more intricate loading module that would allow for different configurations (civil cargo, military cargo, medical, etc.,) as well as an external fuel loading program. 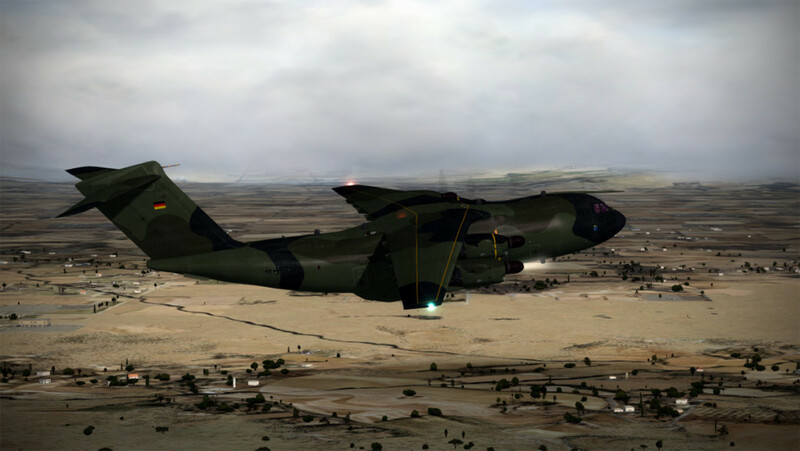 The relatively short take-off and landing distances that can be achieved with the A400M mean that this hauler can operate to short strips in the bush. 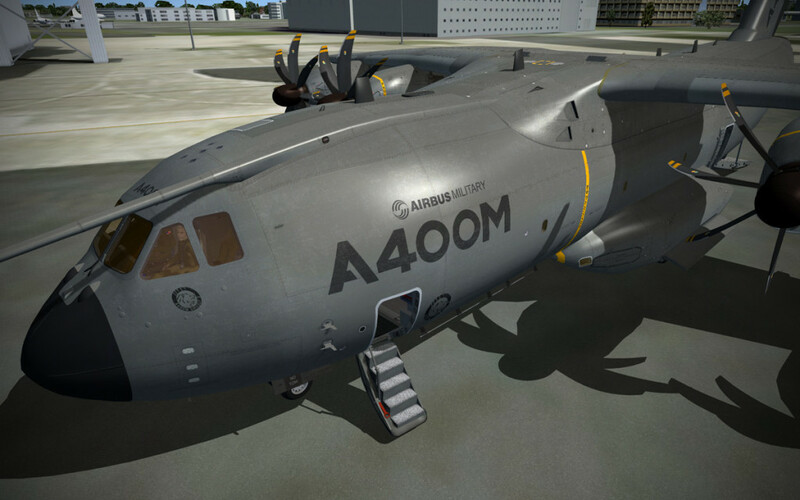 Despite the array of knobs and switches, the A400M is quite straight-forward to operate. 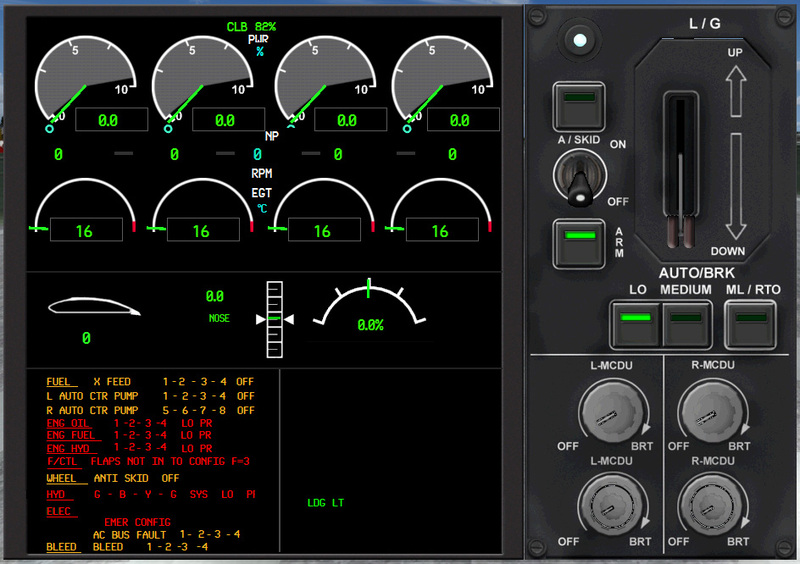 With FADEC throttles and automated starting sequences, the plane is quick to get up and running. 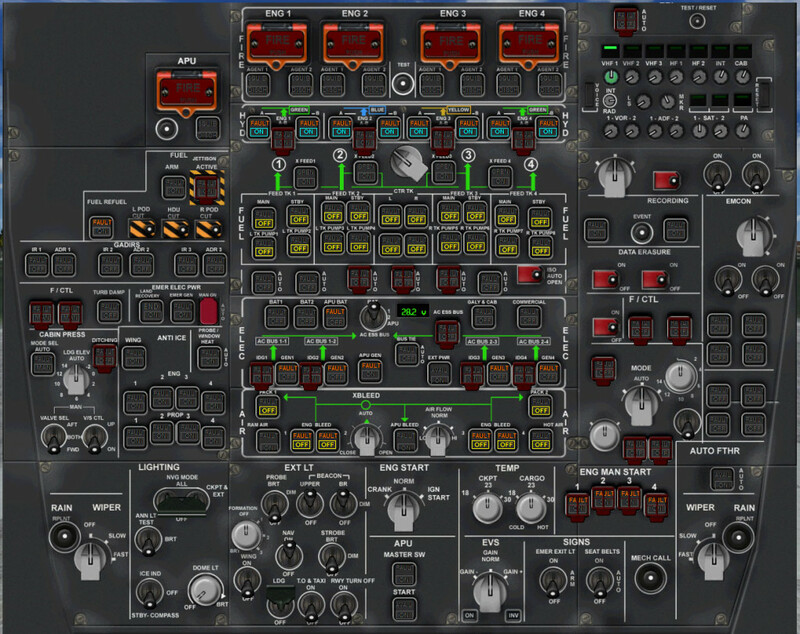 Electrical (APU) – bleed air – engine crank switch to crank – fuel cutoff lever – and you are pretty much in business! The little details like the props moving out of feather to flatten out as the engines start is really, really cool. Sound effects are fantastic and the overall starship quality of the flight deck is well presented. 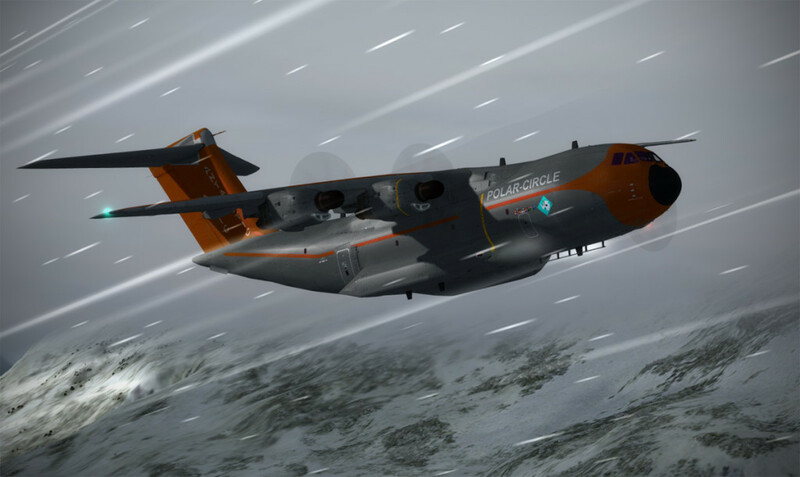 In many photos of the A400M in real life, you’ll notice that the EFIS tubes often do not have the ADI or HSI on them – instead featuring moving maps, weather displays or other items. 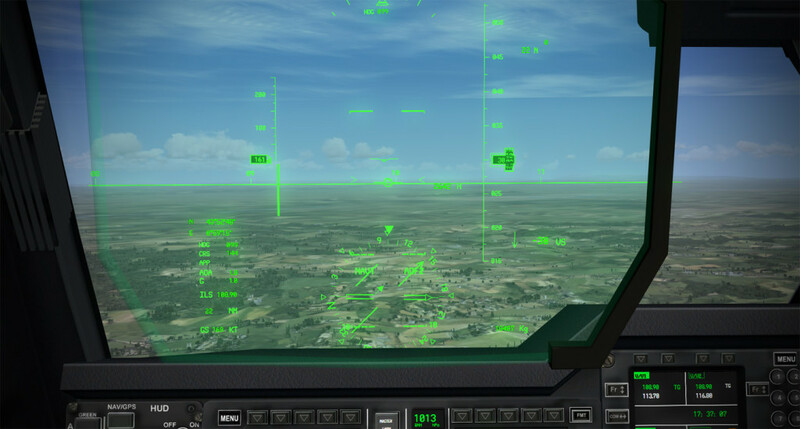 The reason for this is that the Heads Up Display (HUD) is certified as a primary flight instrument – so all reference to ADI and HSI information can be done though the HUD. Laborie modeled a flip down HUD that can be used to fly approaches with. The flight model appears to be pretty good. 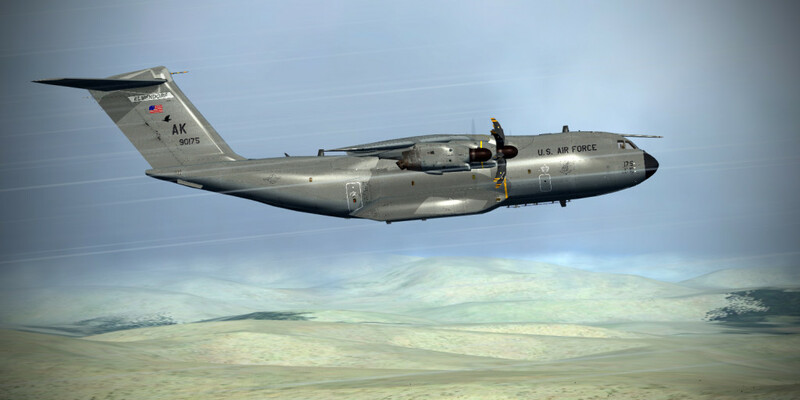 I still have some questions in to Laborie regarding some aspects of the flight model. 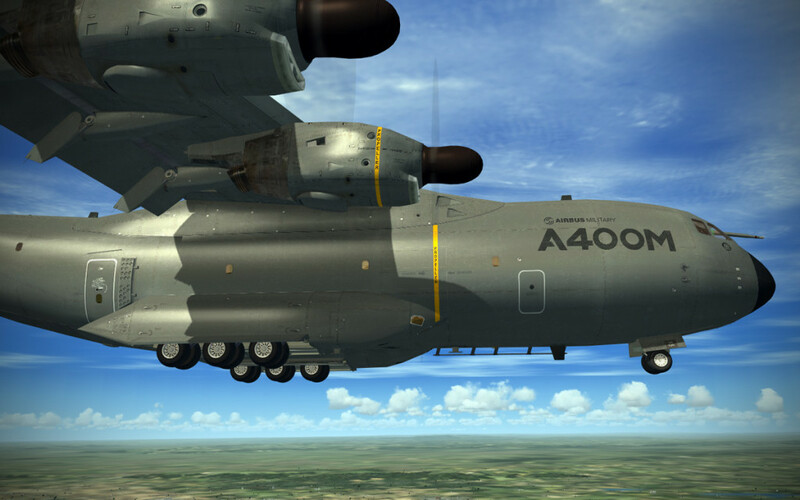 I don’t know much about the A400M specifically, but I think it is a “zero trim” airplane driven by a similar fly by wire system as their commercial airlines. 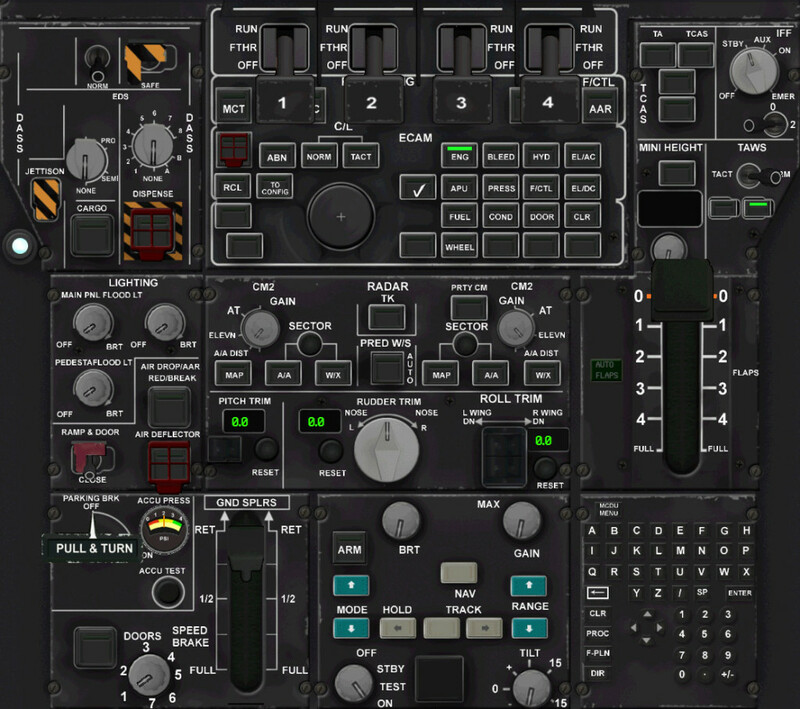 Thus, when you pitch and roll the airplane, the flight computers correct the aircraft trim to give you that steady state input after you release the controls. 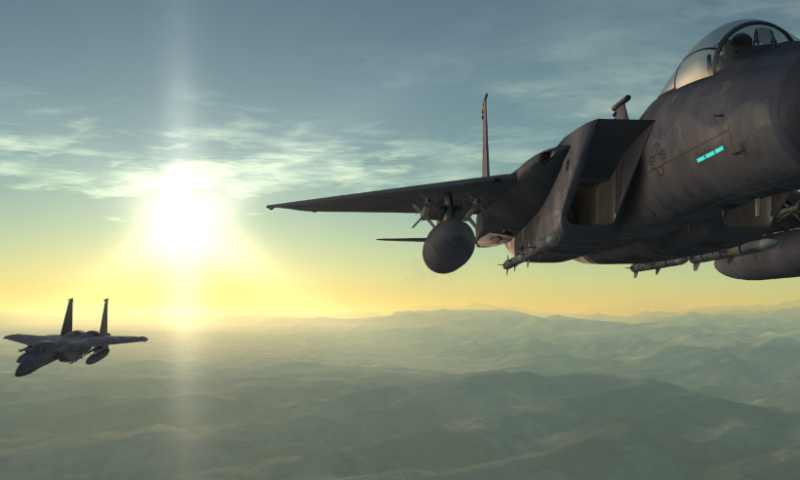 While the flight model feels pretty good, I’m not quite sure it models the real thing in all aspects. 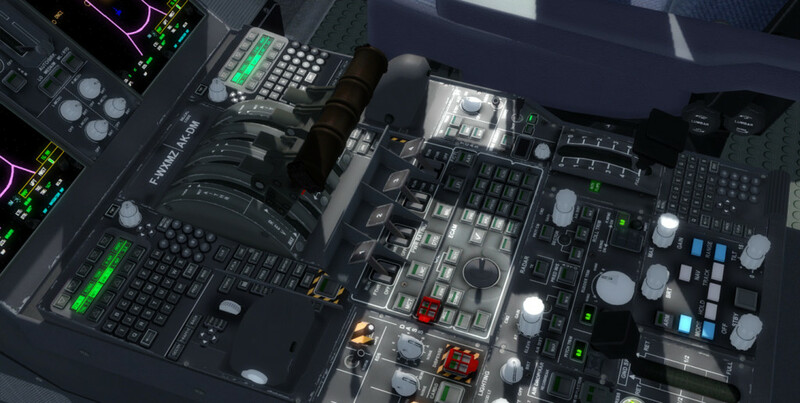 Things like alpha-floor are modeled if you are on the auto-throttles (if you pitch and try to stall the airplane it will go to full throttle), but I don’t know if flight controller limiters are really modeled. 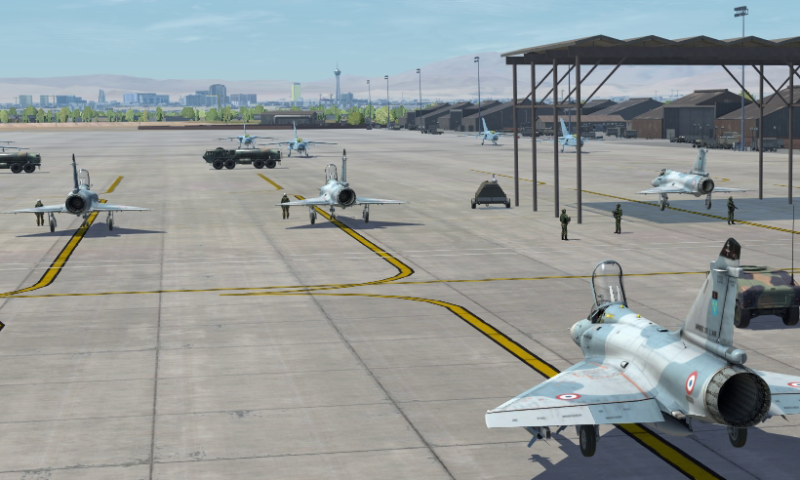 It is possible to stall the aircraft and the fly-by-wire isn’t quite as “stick it there and it will stay” as I would think the real thing would be. 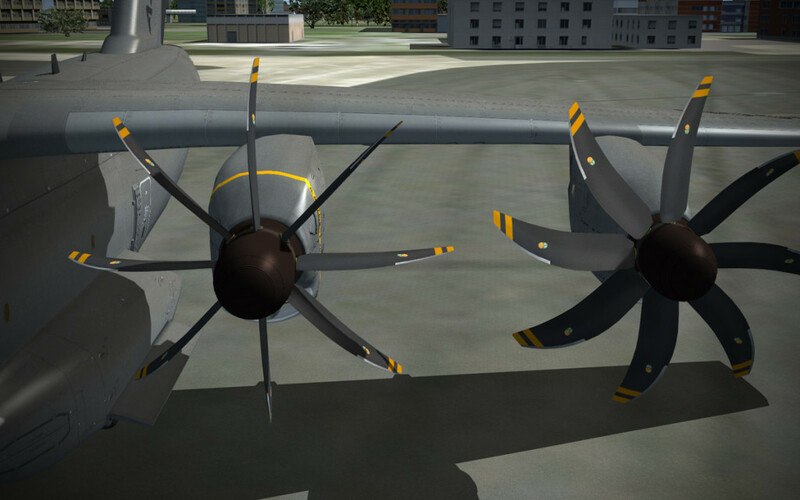 As well, I’m not sure if there is enough drag modeled at flight idle where you’d think those massive prop disks would add enormous drag. 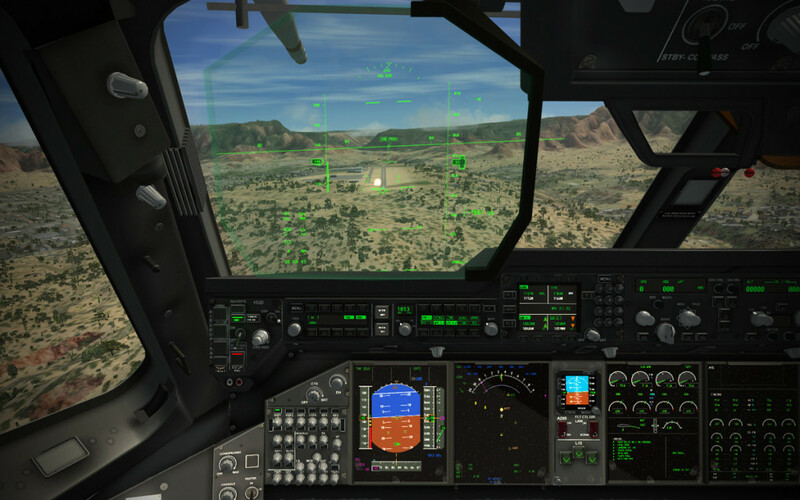 The FADEC is modeled with TOGA, Max Continuous thrust, climb, and cruise, but I seem to often overshoot the settings using my Thrustmaster Warthog. 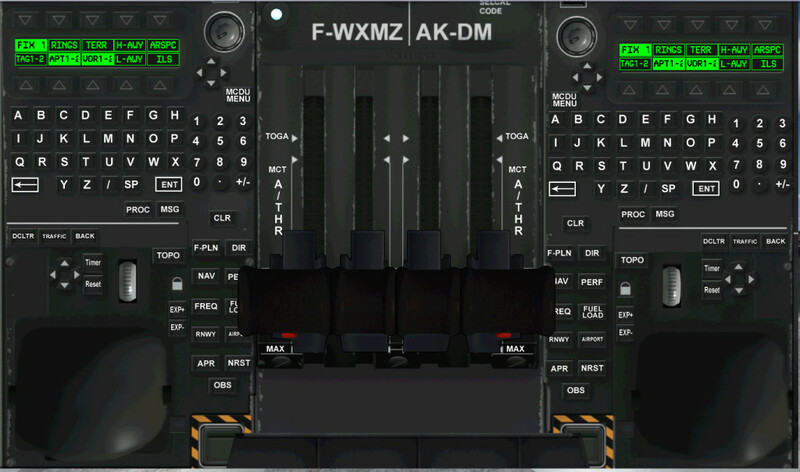 I need to explore whether there are click-zones for clicking on the throttle quadrant that would make selecting each FADEC position a bit more intuitive. 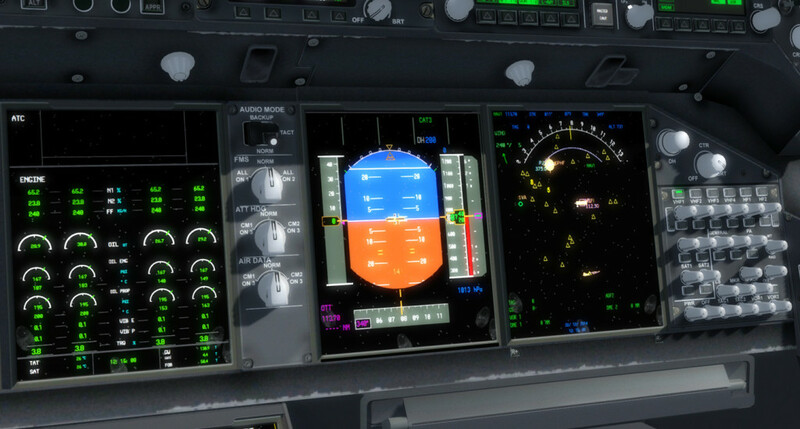 Ground handling is a bit slippery in an unrealistic way in that it feels a bit frictionless.. Let’s face it – FSX/P3D/and FSX:SE are fairly good flight simulators, but they are horrible ground interaction simulators. 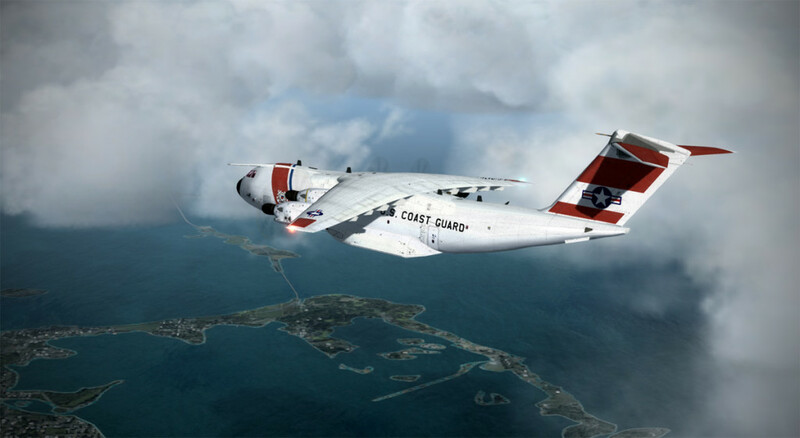 X-Plane has always given an infinitely better feel for ground handling. 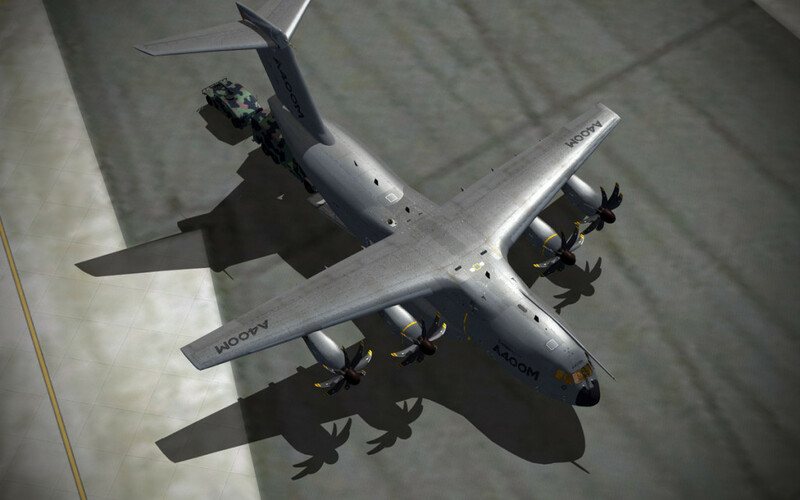 The A400M on X-Plane would be a personal dream come true. 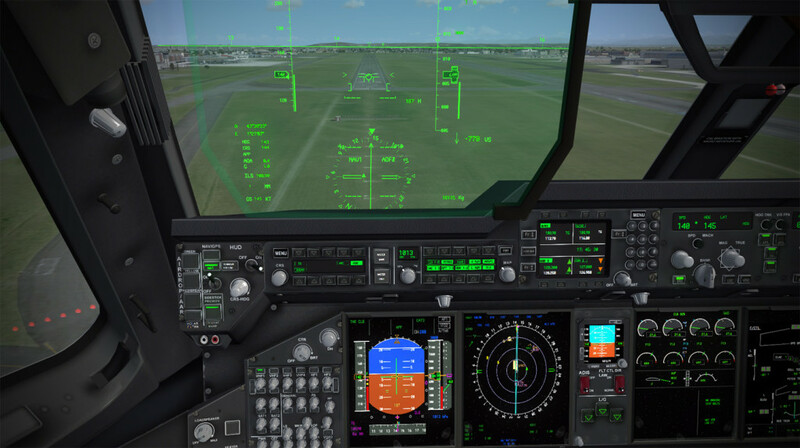 The autopilot and flight director modes seem to perform well as long as you study how they work and practice with the different modes. 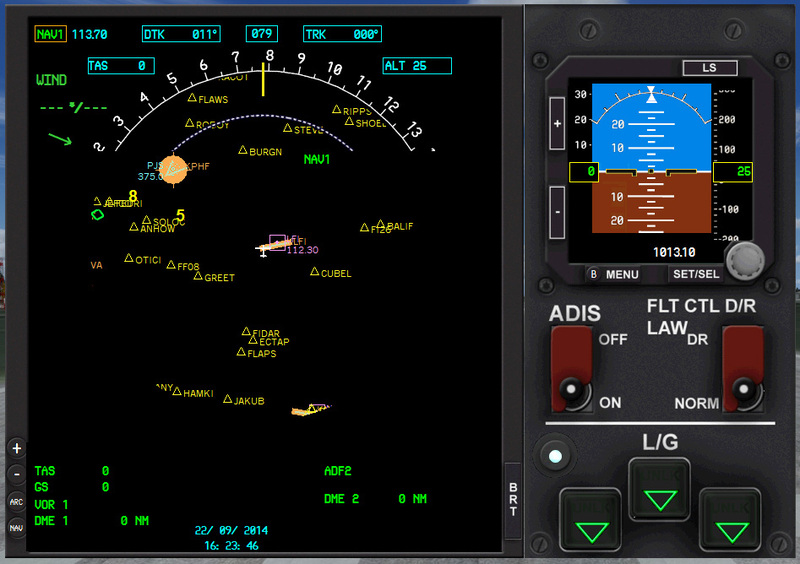 I shot multiple ILS approaches and the autopilot captured and tracked the ILS with no problems. The autothrottle is an enormous help for bugging speeds and sticking to them. 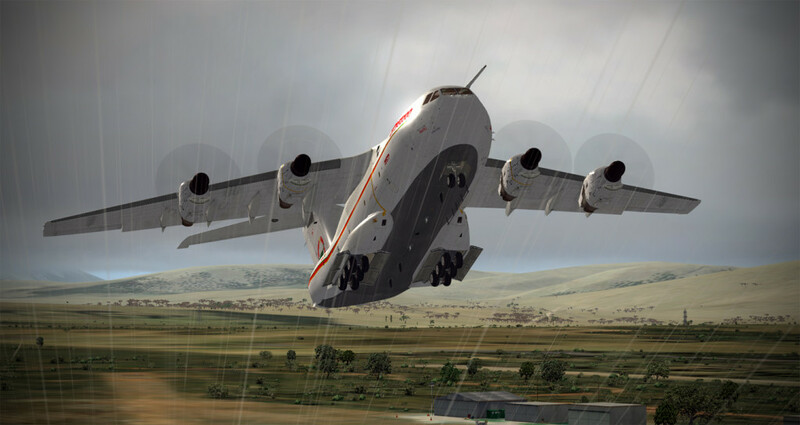 The flight model seems to account well for varying loads – taking the cargo out and dropping down to 20% fuel can result in some dramatically short takeoff rolls. 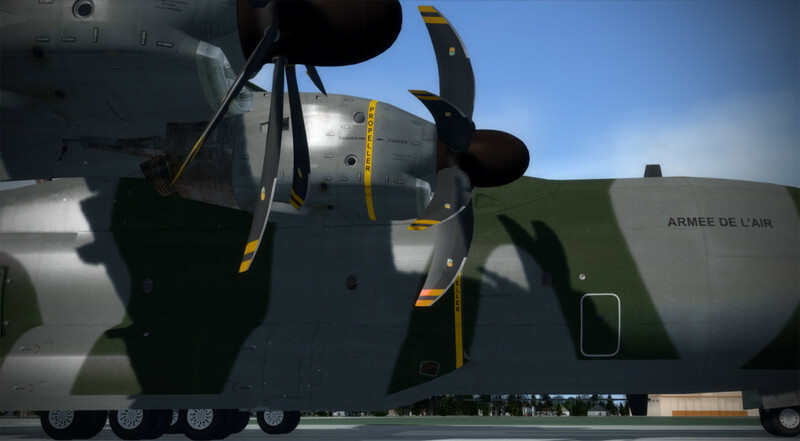 Liveries include a wide variety including Airbus factory paint schemes, various military paints including camo ones, civilian cargo variants, and scientific/research aircraft. Documentation is good, but not exhaustive. 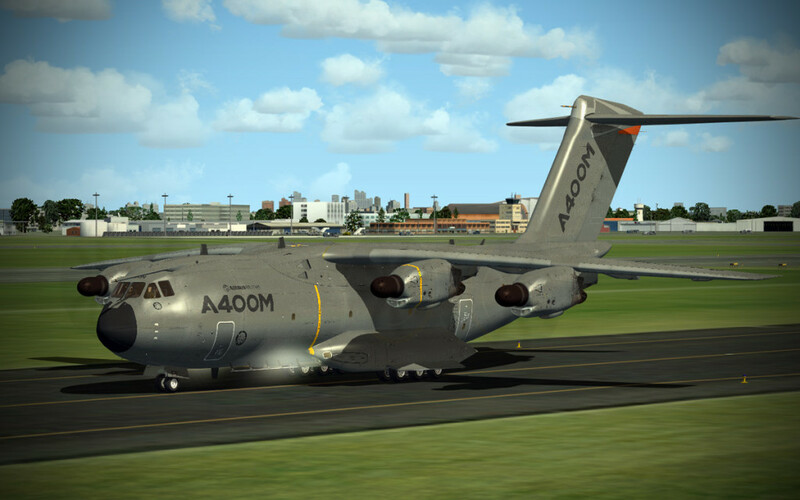 A 54-page PDF with nice illustrations gets you set up with sim specific settings, general information, and the basics of operating the A400M. 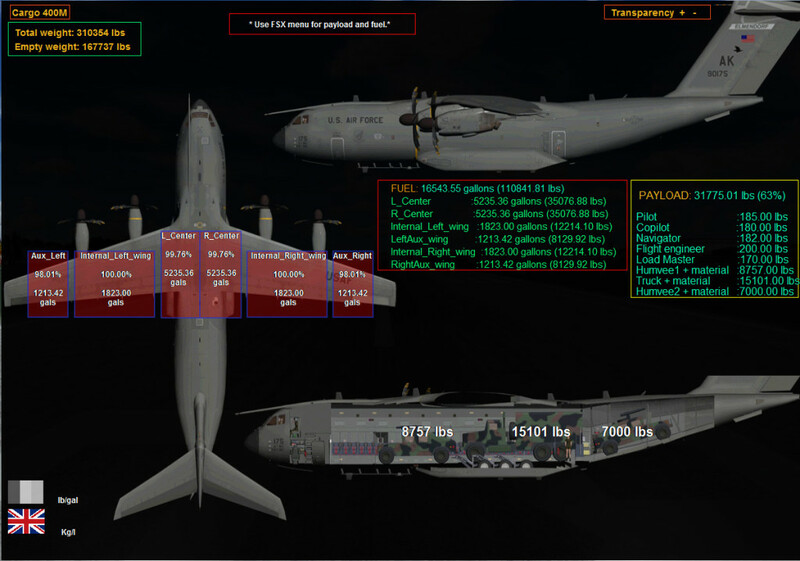 This isn’t a 100% in depth simulation of the A400M, but I think gives a pretty good feel. 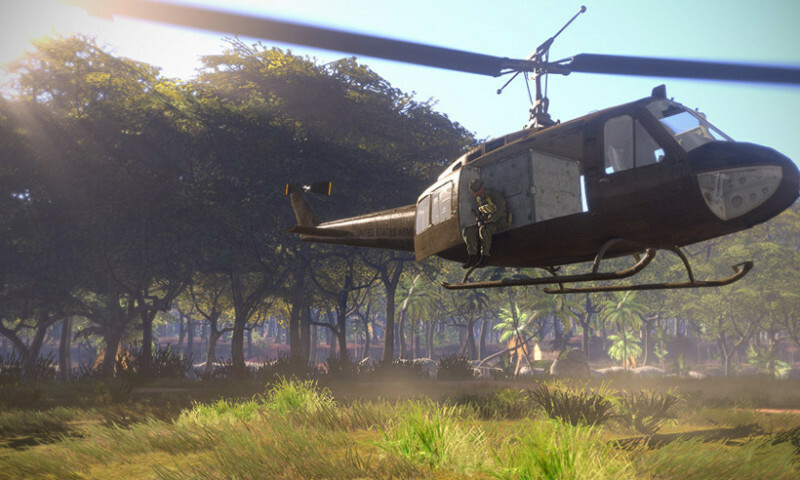 The release of version 2 has not been announced yet, nor has pricing that I’m aware of. 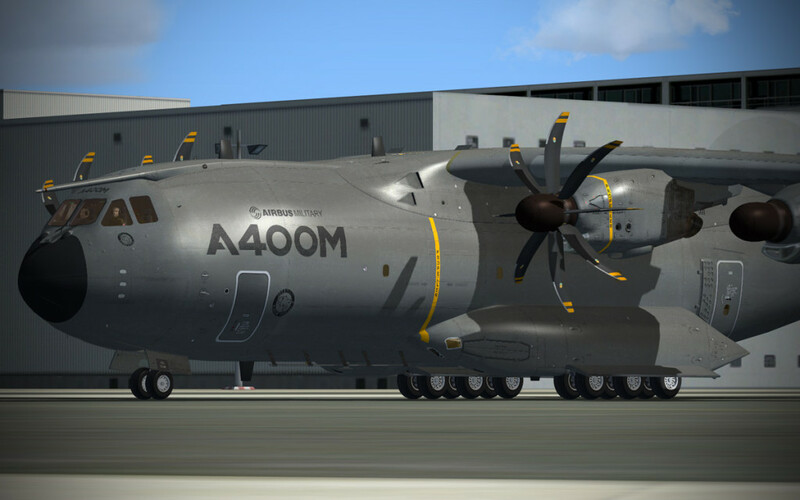 EDIT – It has come to my attention that indeed the A400M ver 2 is released at simMarket – congrats on the release! 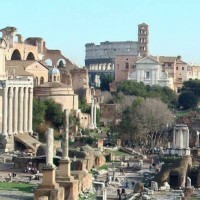 Current pricing is EUR 20.00. I’ll update this page when more information comes available. 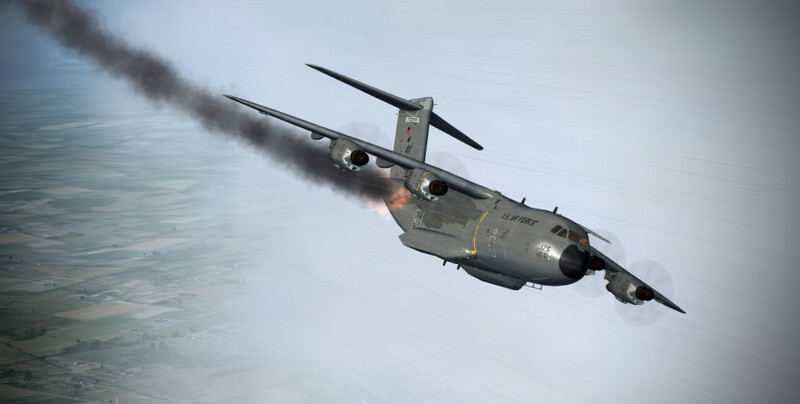 Check out the video below for some footage of me tooling around in the A400M. I was exploring the systems, so not all is done correctly or in the right order. Many thanks to Laborie Roland for the opportunity to test drive this baby – I would suggest the elves up at the North Pole get busy working – I’m going to be able to haul a bunch of toys on the 2015 Christmas Airlift. Welcome to the New Mudspike Forums! That is one hell of an aircraft. Great article. Loved the video! Reports are still spotty – did the crash occur “immediately after takeoff” or was it “after several minutes” into the flight? 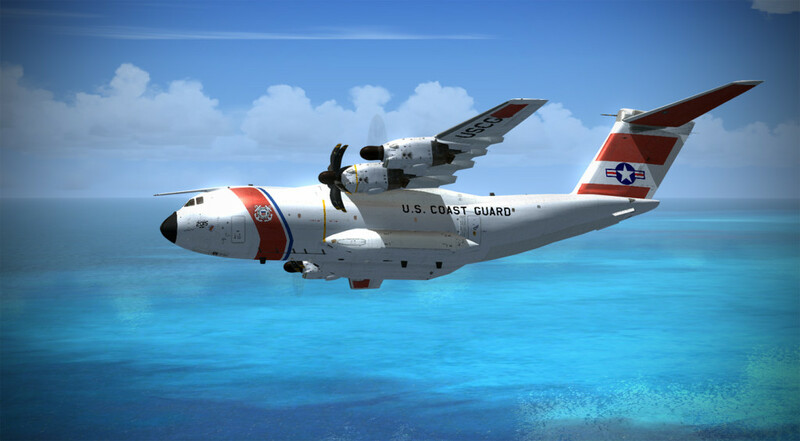 – but one consistenly mentioned fact is that two crew members appear to have survived, although in critical condition. The loss of any human life in an aircraft incident is a tragedy, but I hope we can learn something useful from this loss. Thanks for reviewing this magnificent airplane! I bought it just based on this review alone. I have to say, it is a bit of a beast to get started but just noticed the additional 2D panels you mentioned that can be placed on another monitor….that should help flying her quite a bit. 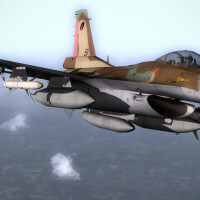 I gotta keep up with your postings more than I have, between this and the upcoming DCS update, it’s a great time to be into flight simming. Thanks again for sharing this otherwise hidden gem.